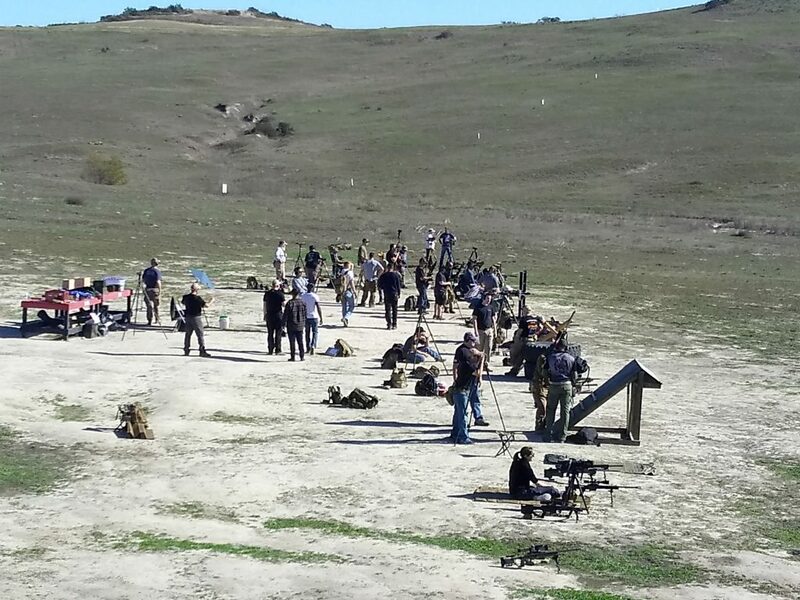 Santa Margarita Gun Club – This is a Non-Federal Entity. It is not part of the Department of Defense or any of its components and it has no governmental status. 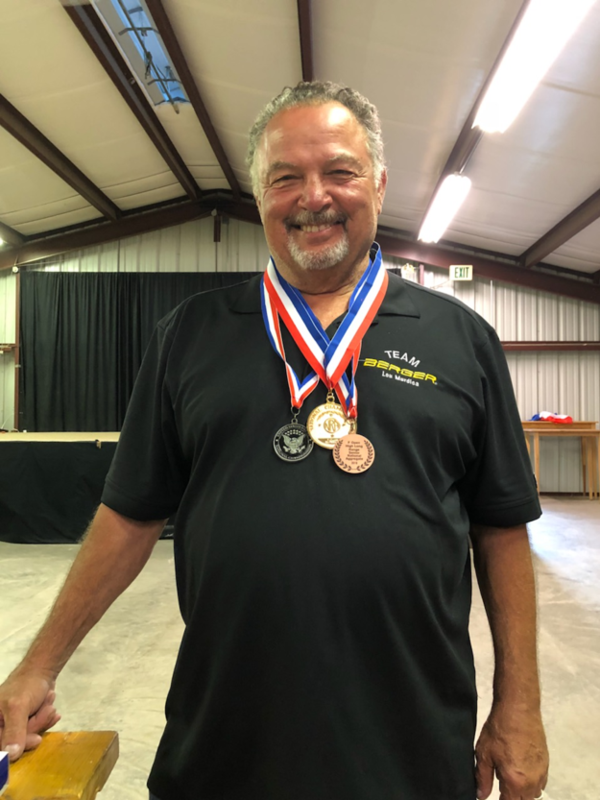 Promoting safe, competitive shooting sports for active and retired military, civilians, and juniors. Our FRUSTRATIONS are finally coming to an END!!!!!!!!! Our Licensing Agreement expired back in September of 2017, “YES 2017”. We have been out of business since then even though we submitted to get the licensing squared away a year in ADVANCE of that date and yet here we are. There are some factions aboard the base which have their sights on our club because they perceive the club to be a Civilian Club INSTEAD of a MILITARY CLUB which just happens to have Civilians inside of it. I have been a Military member of this club since the early 1980’s, and this is the biggest struggle I have seen in getting the club in operations in all my time. Between struggles with several entities aboard the base, we have done the best we can to get our club up and running again We thank you for helping us raise the revenue to get over one of the major hurdles we faced, but now we are very close to crossing the finish line. Once the Licensing Agreement is finally signed, we will set the SMGC Calendar of Events to the traditional days of the month which each discipline can set their calendars to. 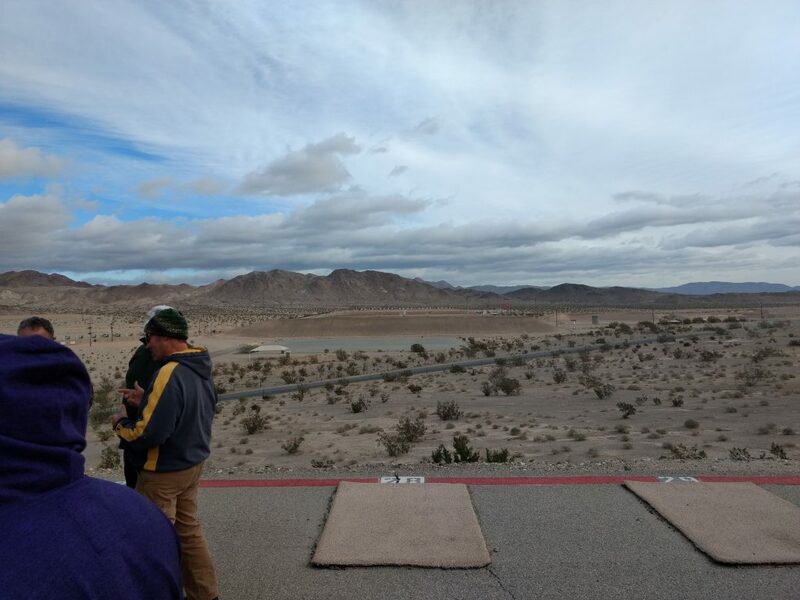 Some of you may not be aware, but the Wilcox Range complex suffered damages due to the last flooding of the base and as of right now, the range complex is closed for operations and appears will not be funded to re-open and will be decommissioned. This affects not only us, but also the Marine Corps as well, since they train over 7,000 Marines annually. More information will be passed out at the above listed matches. As a reminder to you all, EVERYONE of the club’s officers and BoD are Volunteers. All civilians are guests of the U.S. Marine Corps to be on the base for any SMGC Events, so please keep this in mind. All future Club events will get notifications via word of mouth along with the club’s website and on the club’s Facebook page. 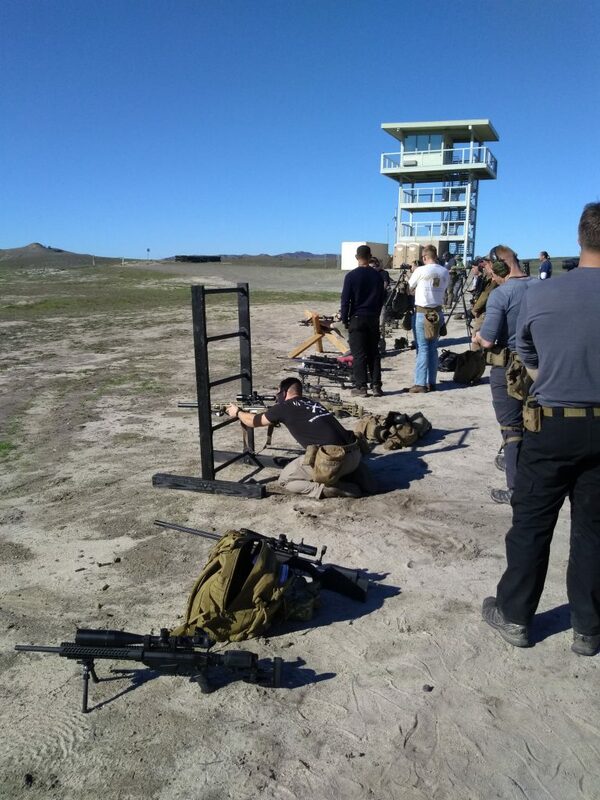 We look forward to seeing you on the Range! I am acutely aware of the SMGC Club Member’s concern over delays to operations along with the new DBIDS entry requirements. LICENSING AGREEMENT: Here is where we stand, after extensive discussions and several meetings, to quote current Gov.speak “the long pole in the tent…” is, The Environmental Conditions of Property Review which is required to be completed before the Licensing Agreement can be executed. Think about the walk around you do when you rent a car or equipment before you operate it. When we last spoke, the Real Estate Specialists informed me the current turn around on this is 90 days and we have 60 days to go. The last remaining issue with the Licensing was some verbiage with regard to operations of the new Range, R223B. All that was needed was its insertion into our Licensing Agreement, last I was informed. Wilcox Range has damage with the last storms by the recent flooding of the Santa Margarita River. So, Wilcox and R102 are closed until sometime around late March or Mid-April, which happens to be the same time the Navy finishes the Environmental Review. The fact that Range 117 will be severely leaking and muddy ‘till then; that leaves us with the possibility of conducting a GSM at R116. MCCS has control of R116 now and we are actively seeking an agreement with MCCS and Range Control about utilization of 30-06 on R116A. This is the last hurdle for us there. DBIDS: The situation will be worked out and the sponsorship will switch from the graciousness of Military personnel vouching for you all, to an official status with SMGC and the expiration date of 1 year for passes. We will also work out an infrequent, weekend day for those who cannot come during the week to process a DBIDS pass. I assure you all that in the very near future we will resume operation on a level that I, the oldest and longest participating Member of SMGC, have never seen. A lot of historic hitches to operations have been sorted out and we will have a robust and varied program for your participation. 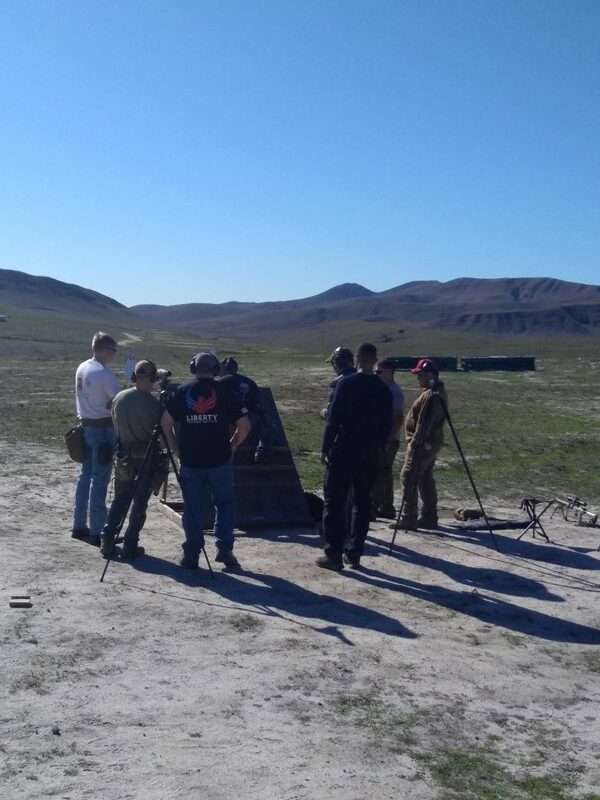 A lot of new shooting disciplines (such as PRS and Pistol) will be added, and I’m sure you will find yourself challenged and growing in your skillsets with what we have planned. What does that leave us with? Well the next opportunity for us to fire on the outstanding facilities aboard Marine Corps Base Camp Pendleton, will be the Pac Fleet and All Navy Matches. There is the possibility of the Licensing Agreement coming though sooner than the 60 days remaining on administrative work by the Navy. Once I have the agreement signed, I will be depending on all of you to pull together and participate in the calls that we put out to not only have fun and shoot, but also the necessities that have been neglected for nearly 2 years. CONEX BOXES and TARGET SUPPLIES: There will be work parties for a multitude of tasks starting with maintenance of our Target Sheds and target inventory. The integration of banks of electronic targets and steel for our new future PRS Matches will also be an area of work. With the re-opening of the Club’s operations, there will be a need for additional and new Assistant Match Directors, and a call for other discipline’s experts to participate in the expansion of our options. A lot of you have remained loyal to the operation of the Club and have hung in there with me and the rest of the team that have put in A LOT of effort to finally bring us back on line for you all and most especially, to preserve the basic competitive disciplines and currently evolved methods of their employment. I depend on you to support our reengagement with vigor and spread the word to develop our participation levels. I hope this answers everyone’s concerns and you have my assurance that we will be on the firing lines soon. One unfortunate outcome of the government’s shutdown is that just as the License to operate was literally days away from completion, the processing has come to a dead stop. 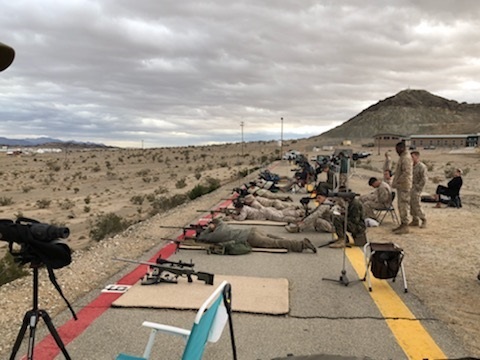 The addition of Range 223B to our inventory was the last process to complete, the check was cashed, and all was in readiness for our resumption of activities on the 19th and 20th of this month. Many, MANY man hours of work was done this last year and a half (now more) to engage the Club’s operations and improve our programs. As many may know, we did our best to coordinate with SOI and it’s leadership to bring you occasional events and develop the PRS discipline for the Club and it’s Members. We value your participation and loyalty, and your rewards are forthcoming. I want to apologize to you all for the length of the process and the impression some may have developed that we would never reopen; but, at the same time I would like to impress upon you all the massive scale of the efforts involved. Without the direct and invaluable efforts of several influential members of the Marine Corps, all our efforts would have been in vain. I’m not going to identify them directly at this time, but I will soon. Please make a special effort to congratulate and thank those individuals in the future because without them, as I said, we would be dead in the water. Match report courtesy of Mike Jones. Thanks to all of the support for this activity from the Base and Range Control to jump thru hoops to accommodate our request for the range, while our lease renewal is in process. Thanks to Beau Winn for planning the stages and COF for the match. Thanks to the medics, Paul, Rich and Steve for showing up and supporting the activity. Thanks to the SDPRC guys for coming out and helping instruct the newbies. 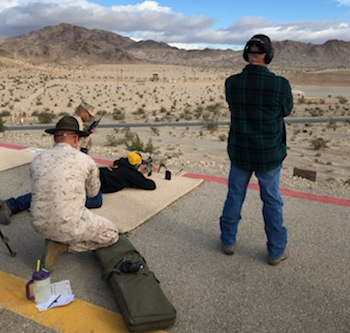 Saturday December 15th, we conducted a Practical Rifle Clinic on R117 to introduce rifle skills and challenges associated with Practical or Precision Rifle competitions. 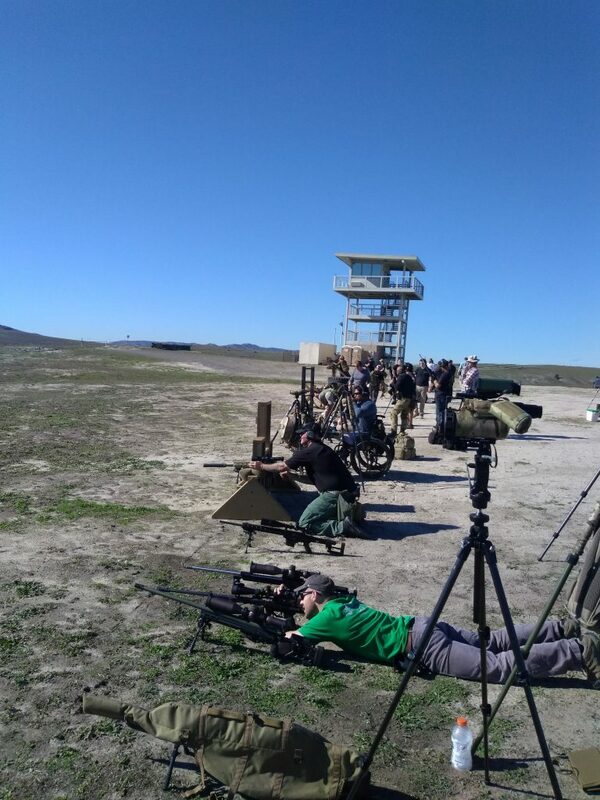 This was an introductory clinic to give those interested a baseline in fundamentals of marksmanship and how they are applied or adapted to this shooting competition. 46 people came out to learn and practice, it was just about an even split between civilians and active/reserve duty military. 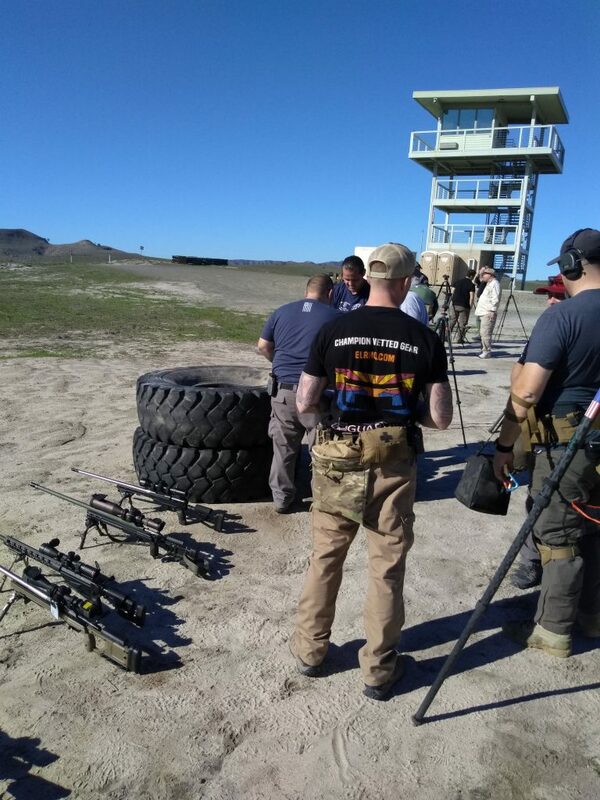 We ran 6 stages where obstacles were presented by an instructor, he did a walk thru of the challenge, the various ways to address it and then a stage of shooting was conducted so that integration rifle support, body/position support and natural point of aim could be challenged and techniques developed to provide accurate shot placement. 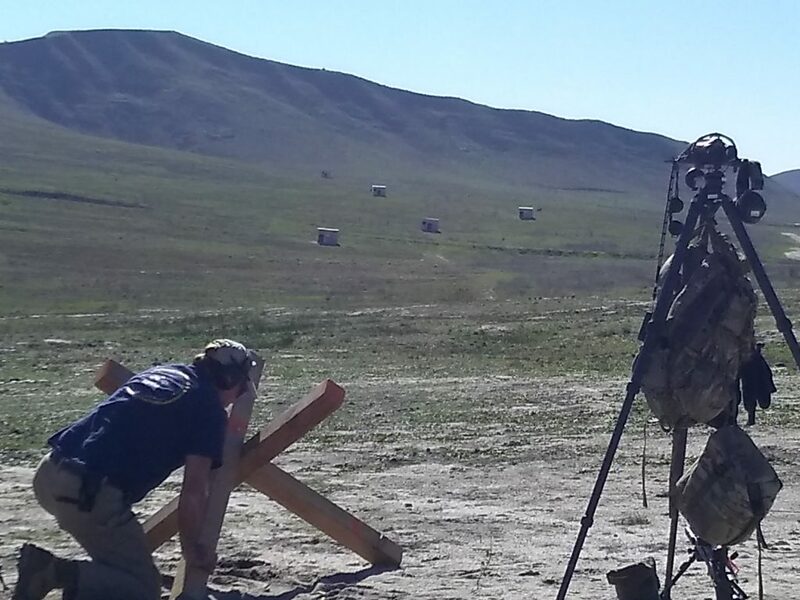 The entire group was divided into squads and each squad worked through 3 stages before lunch, after the break we had the opportunity to run through 3 more stages before breaking down the range for the night. 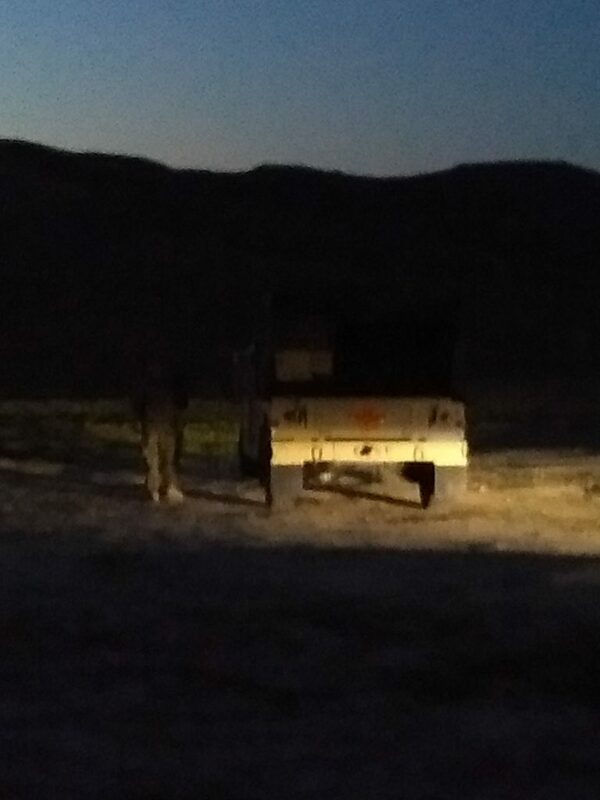 Sunday December 16th, the range staff started early, again, when I arrived- waiting for the Marines was the ammo truck and guard. We had 53 participants and I think the military representation was fantastic – clearly more than half the competitors. Originally designed as an 8 stage match, we had to toss one of the stages due to targetry issues. The match started around 8:30 and was wrapped up at 3. 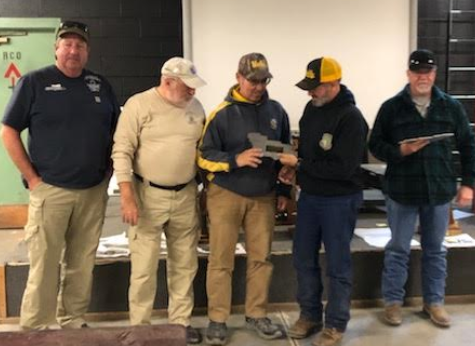 The scores for the 2018-12-16 Practical Rifle Match are available for download in PDF here and on the Match Results page. 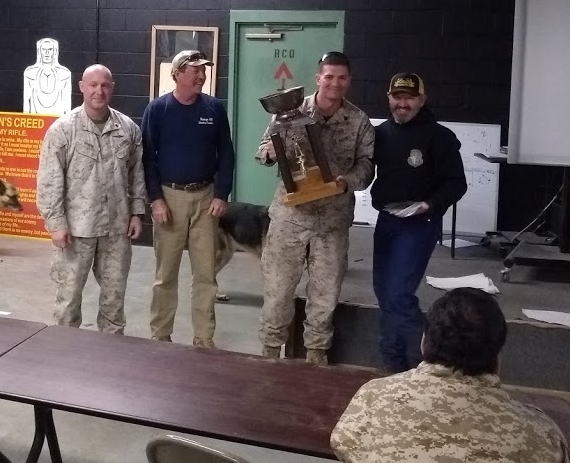 First, a very big Thank You to Gunner Skinta, Gunny Herrera, and Mr. Folts at MAGTFTC MTU and Jeff Lovat for organizing this event and accommodating all of the civilians. Day 1 Thursday was a 3X1000 match. 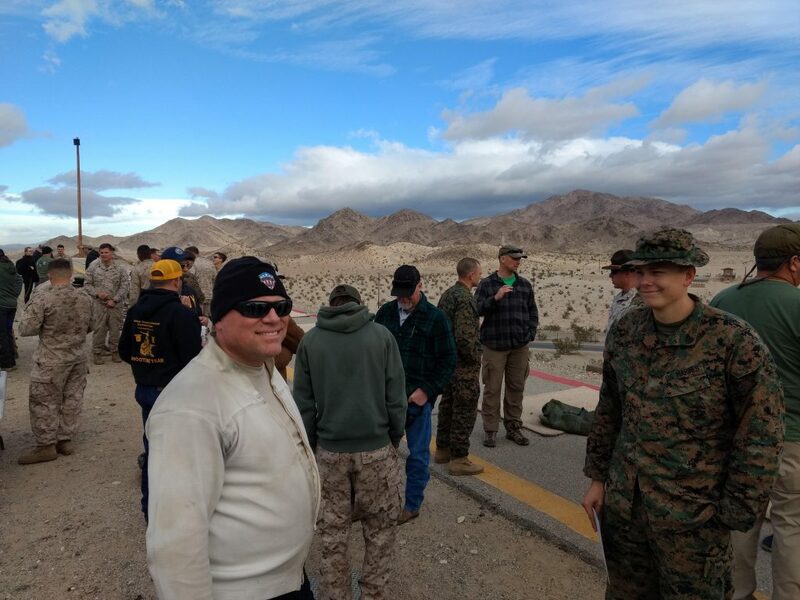 Opening Ceremony and First Shot was conducted by Gunner Duane Ledford (USMC Ret). 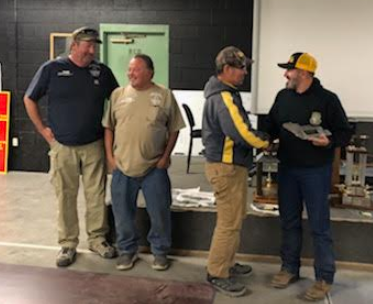 Winds were relatively light compared to the forecast in the morning and then steadily built over the morning and culminate in 30MPH with gusts on the final relay of the day and…. Just enough rain drops to get the dust to stick to your case or anything else left out. 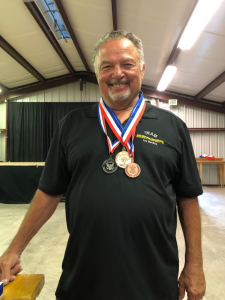 I (Mike Jones) shot in the final relay. I started with about 5 minutes of wind on the scope, about the fifth shot I was holding off the frame and so put another 5 minutes of wind on the scope, held left for a couple more shots, added another 5 minutes of wind and finished the string with 15 minutes of wind on the still ended up holding on the left edge of the target. Yes that’s about 19 minutes of wind at 1000 yards. 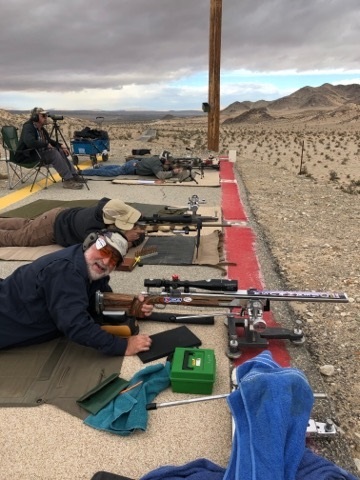 Mark Roth was scoring for me and would laugh everytime I was able to find an X or 10 as I t was an absolute guess as there qwas nio mirage and the flags were pointing up and virtually useless for seeing any changes in velocity. 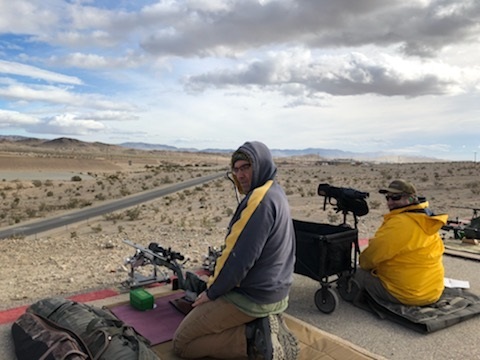 While I am shooting a 6.5-284, my friends Jeff Lovat and Brad Losey are shooting their 223s, I sure they were having a great time. Day 2, Friday looked better…but… the wind kept building thru the morning and once again the flags were useless. 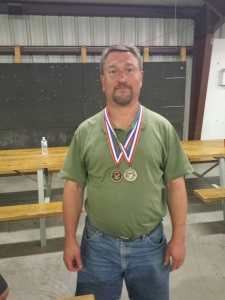 The results for the day were Mark Roth, again, with the top score. Walter Lange second and Mike Jones third. 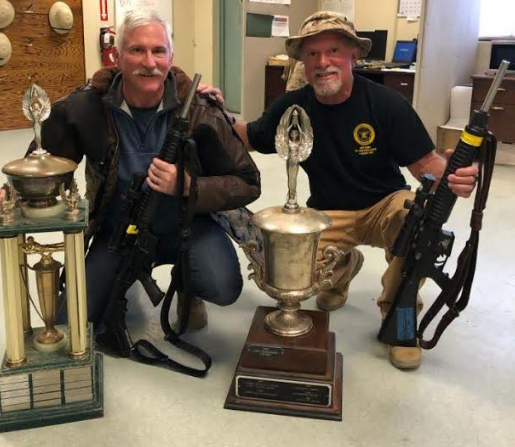 In Service Rifle, The overall winner of the McVeigh Trophy was SSgt Edwards, Our John Hermsen was second overall and Gunner Skinta in third. A good showing with 39 shooters. Highlights include George Carr wining the match with a 779.24. Harry Harrison shooting his first ever 300 rapid 100 with 10 X’s !!!! The Marines kindly cut the center out of the target for him to keep as a memento. 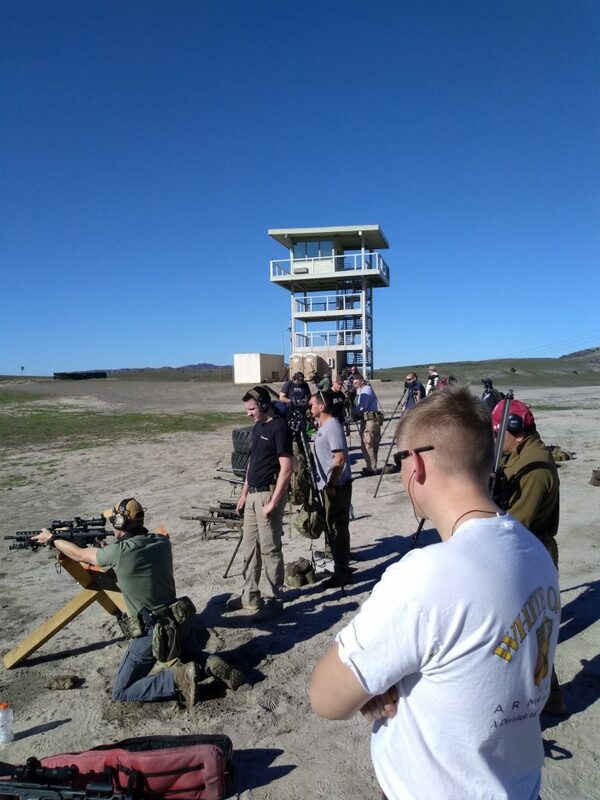 Day 4, Sunday were the Rifle and Pistol EIC’s. Only one man, George Carr, made the cut during the Rifle EIC with a 458.9. The Pistol EIC found no one making the cut but Michael Drake with a 248.1 came in first place. Overall, thanks for all who helped us help the Marines. An extra special shout out to Pete Jedrzejczyk & James White who both donated $100.00 of their match refunds to the Marines at MTU. Outstanding !!!! Mike Jones and Jeff Lovat. The results for the 59th High Desert Regional (2018) are available in Excel here.